I have always loved checks and tartans, whether it’s in fashion or not. 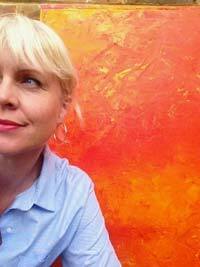 The rich warm tones linking together are inspiring and have an earthiness that appeals to me. My maiden name is also Scottish, Farquhar (no giggles now) and so I have always been proudly linked to our family tartan. 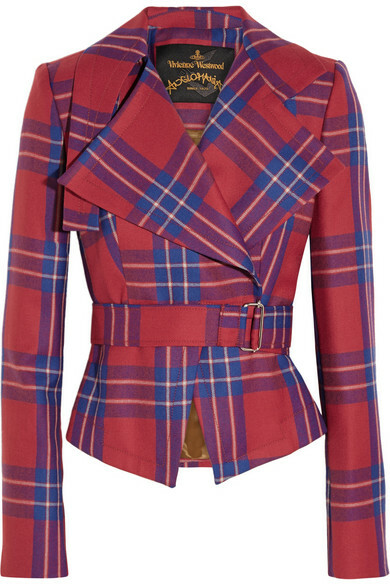 Tartan inspiration is always found by the cool queen of fashion, Vivienne Westwood. 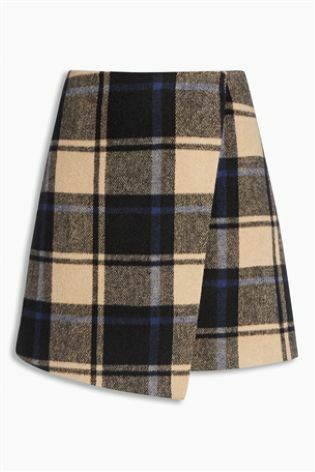 High street check versions are easily found – Next have this fun short skirt, good quality and great with an oversized sweater, opaques and flat, knee high brown boots, perfect to show off great legs. It has a blue check running through it so great with a hint of a denim shirt showing under your knit. Gorgeous colours work together in this mainly mohair and wool, Spitalfields coat by Boden. It is styled to be oversized, so simply wear over classic jeans and jumper for instant effect. There is a promotional 30% off everything at Boden with code J5N5 plus free delivery until 30th November. 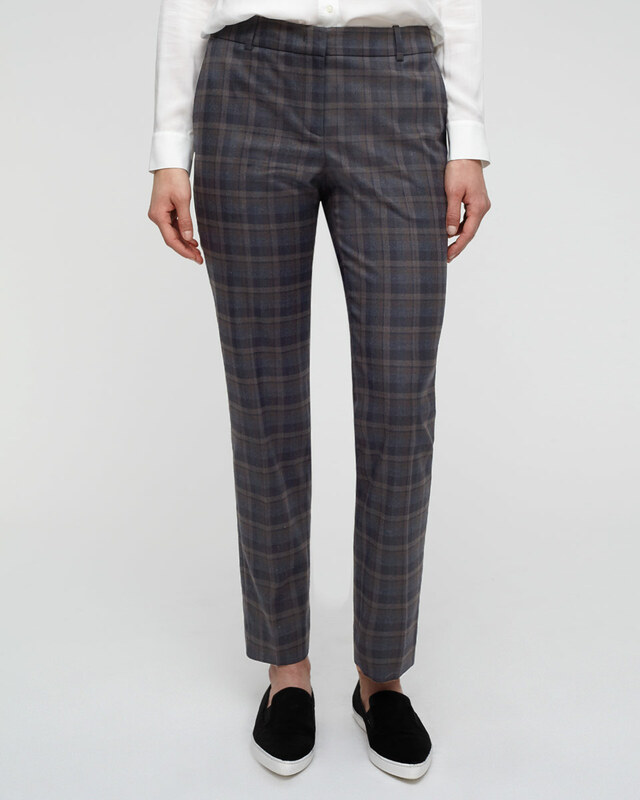 Or these Jigsaw check trousers, wear with trainers and oversized knits or shirts. Or for a simple addition of checkered colours, add this oversized scarf by Zara, 140cm x 140cm, made in a soft acrylic, it won’t be super warm but has the Gaelic impact. You can find your family link with a tartan at Kinlock Anderson, my nearest was Farqharson in blues and greens with a red and yellow check running through. Find your own highland fling.